Old Wood Deck Restoration or Removal? You’ve got an old wood deck and love the use you’ve enjoyed for many years. But now, it looks like it might be time for an old wood deck removal. However, you can’t help but debate the restoration scenario in your mind. Perhaps, it’s worthwhile to rejuvenate it but you just can’t be sure. 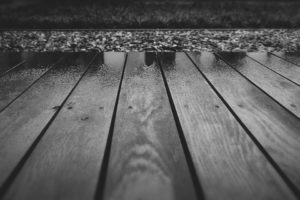 That leads to a difficult question, “Is it time for an old wood deck restoration or removal?” Well, the answer depends on a few factors. Much like hardwood floor replacement signs, there are certain things you can look for to determine if a new lease on life is possible. Some rot is normal, particularly for an aged deck. But, if the rot is in the supports, that’s a big sign it isn’t salvageable. Once the rot works its way into the supports, the deck becomes a safety hazard. This isn’t to say the deck is gone beyond repair, but if the rot is in more than one support, it’s probably not worth saving. Clear the deck off. 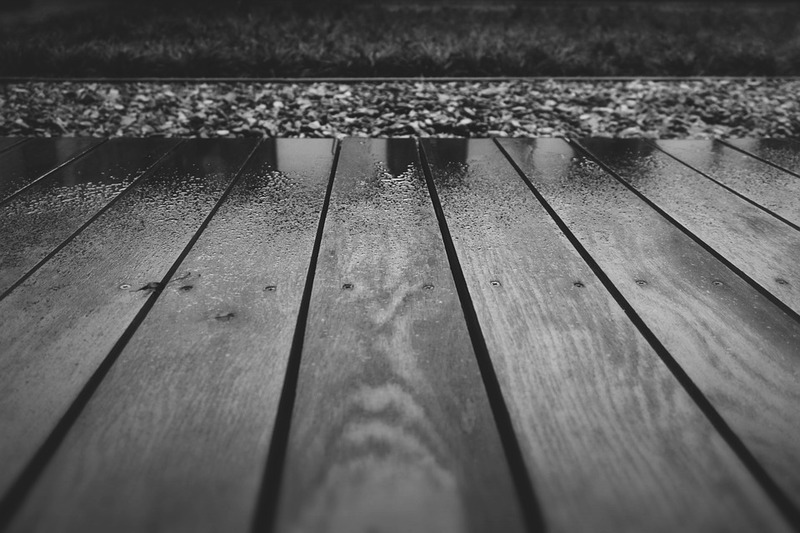 Before you start hauling out the tools and materials, you’ll need to confirm the condition of that old wood deck. That means clearing it off completely and taking a look underneath, as well. Empty the deck so you can inspect every bit of it to know if it’s still repairable. Replace damaged planks. Once you know that you can restore it, it’s then time to replace any and all damaged boards, including the floor planks. Simply remove the damaged planks with a pry bar, and claw hammer, or with a drill-driver, and set them aside to discard. Replace the boards one-by-one thereafter. Use a strong commercial cleaner. Now, you can use a strong commercial cleaner specifically safe for the type of wood to get it ready to stain and seal. Use a long-handled scrub brush and after it’s clean, give it plenty of time to dry, about 24 hours. Stain and seal the wood to finish. Once clean and dry, you can then proceed with staining it (if so desired), followed by sealing the wood to protect it and give it years of longevity. Follow the manufacturer’s application instructions carefully for the best results. If you need a deck removal done for your property, just phone us at 800-433-1094 or visit Junk Garbage Removal. We can help with other jobs, as well, and will tear down and haul that deck away so you don’t have to deal with it.